RGC Public Library presents children’s author Xavier Garza Thursday June 27, 2012 @4:00pm. 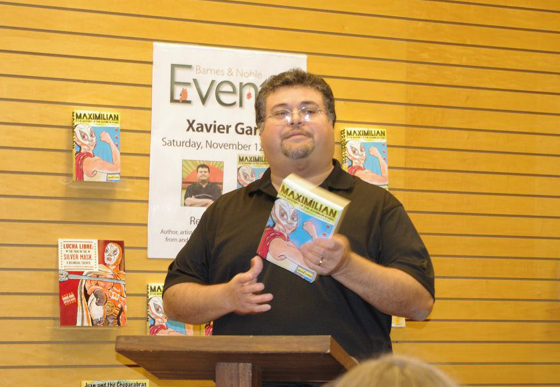 Xavier is a recipient of the Pura Belpré honor book award for "Maximilian and the Mystery of the Guardian Angel: A Bilingual Lucha Libre Thriller. Also in the American Library Association Notable Children's Book List! Join us Thursday at 591 E Canales (3rd) St, Rio Grande City. For more information call 956-487-4389 or visit www.rgclibrary.org .